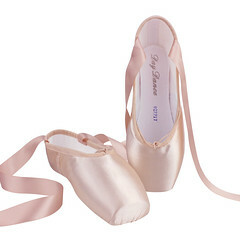 ← Are More Pointe Shoe Factories Sharing Brand Production? 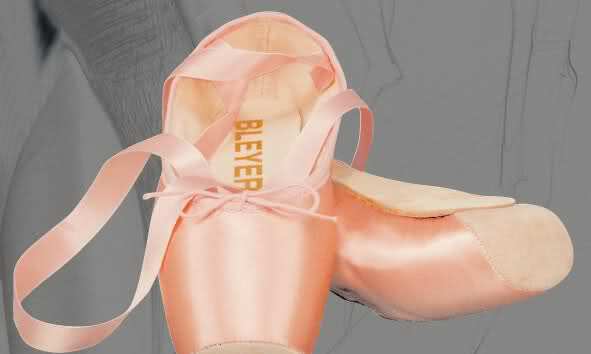 Although the Bleyer pointe shoe model has been around for a while, it can be a challenge to find pretty images of them that do not include the shoe on a wooden form which you can see here on Forever-dance.de. 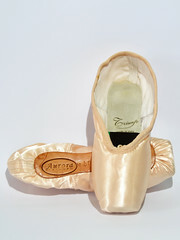 This wooden-form-inside-a-pointe-shoe thing is just a personal peeve of mine. Merlet does the same thing. 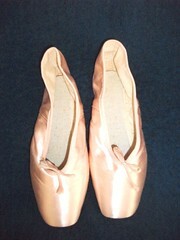 I just find it detracting from the beauty of the shoe. 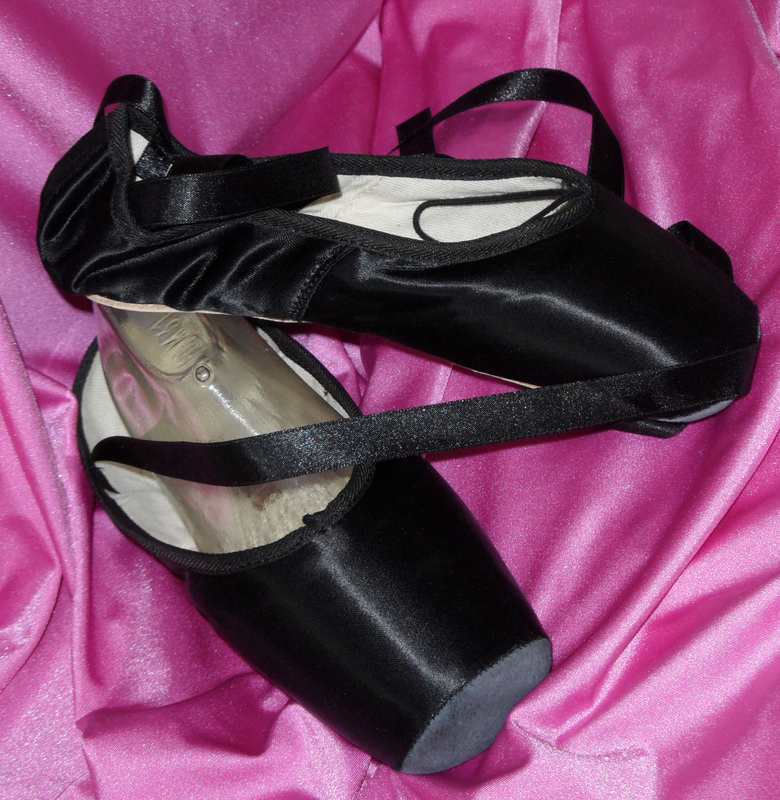 With their tapered toe boxes, I find them to have a sleek aesthetic that would look beautiful on the right dancer. They also appear to have substantial sturdy-looking platforms. I checked the Bleyer website on the sidebar here to see if the company has introduced any new models. It appears that Bleyer of Germany still only produces this one model, the 4101. 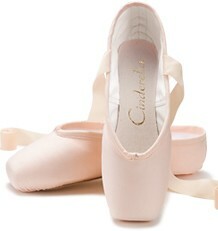 I have picked up enough German to understand that this model is often referred to as a professional pointe shoe. Even though Bleyer only has one model, seeing them in different colors is very interesting. Seeing them without the wooden form is even better! 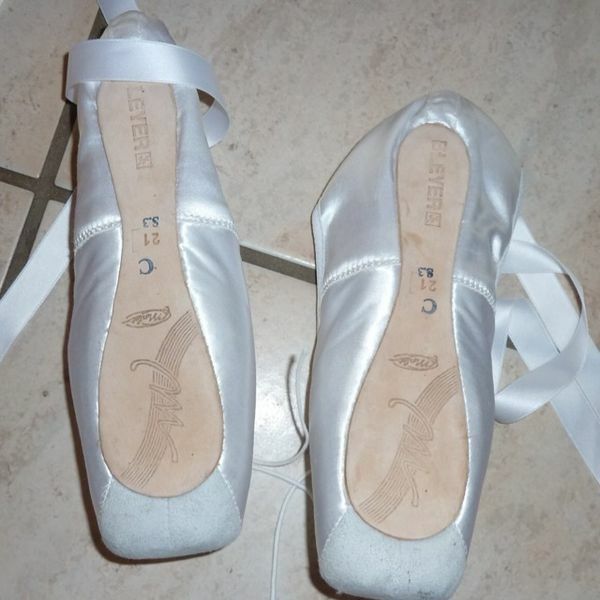 This entry was posted in German Brands and tagged Bleyer pointe shoes, Bleyer white satin pointe shoes, German pointe shoe brands, images of Bleyer black satin pointe shoes, pointe shoes made in Germany. Bookmark the permalink. Hi! I was browsing Aliexpress.com, when I came across these. 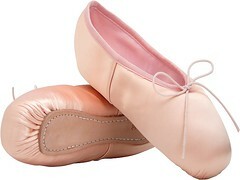 I am wondering about them- especially where the sizing charts are! 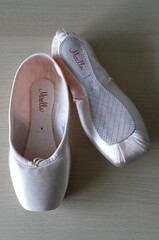 I am thinking of buying them, but I do not know much about them, Also I appreciate your blog very much. 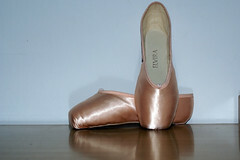 One sizing chart that may help is located on this company website; http://bleyershoes.com/shoe-size-guide/, a guide for all the dance shoes that Bleyer offers.